Red Dead Online is still trying to find ways to reduce unwanted player aggression in its expansive Wild West world. This latest update will introduce reduced blip visibility over distance and changes to the bounty system. Player positions will not appear on the map unless they are within 150 meters of another player. If the player is a little further away they will only appear when they shoot. If someone escapes griefing to another far away town, the griefer won’t be able to see them and track them down. The update also makes overly hostile players become more visible on the map, as well as that player’s Posse members, with a “progressively darkening dot that incrementally shifts from blue to dark red”. Hostile actions include attacking and killing players or their horses outside of a structured mode or event. 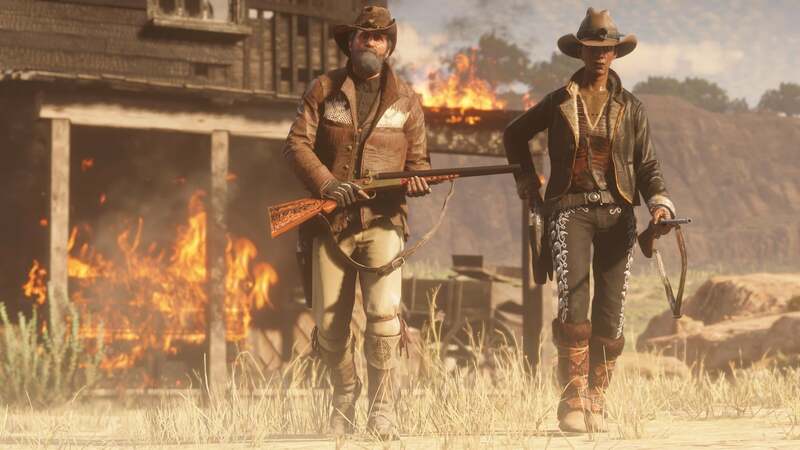 It will also be easier to resolve a dispute with Parleys and Feuds, as these can now be applied to an entire Posse conflict. Players who rack up high bounties in free roam will be hounded by NPC bounty hunters, and killing another player can incur a high bounty. The higher the bounty, the more dogged the bounty hunter pursuit becomes. Besides these griefer-mitigating changes, Rockstar are also adding a lot of Daily Challenges, where completing challenges can earn Gold Nuggets and XP. The Varmint Rifle’s accuracy is being rebalanced too. The update will land on February 26th, and more details on the update’s content will be coming from Rockstar in the meantime. The Red Dead Redemption 2 Online Beta rolled out at the end of November. Since then, the team at Rockstar has been relasing updates for the mode with new content alongside fixes and other improvements. Next week, the team will be introducing another update that adds more game modes, weapons, clothing, emotes, and more. The Fool’s Gold Free Roam Event is a battle over a suit of Golden Armor. Players compete to take down the person wearing the armor, while the person wearing it gets points for every kill during that period. There will also be three new Showdown Modes — Up in Smoke, Spoils of War, and Plunder. Players and teams will capture and deliver bags, as well as stealing loot from each other. More details on these modes have been promised later. Target Races will be introduced. Players must race to the finish line, passing through checkpoints and shooting targets as they go. Finally, there will be Fishing Challenges separated by type. Once a player has chosen to take on a specific challenge, they’ll get all of the equipment needed to complete it, including rod and specific lures/bait. You’ll just have to choose your fishing spot and catch the highest total weight of fish. While taking on the challenges, other “trigger-happy outlaws” won’t be able to take you down. In terms of weapons, B.D. and Co.'s Evans Repeater rifle and D.D. 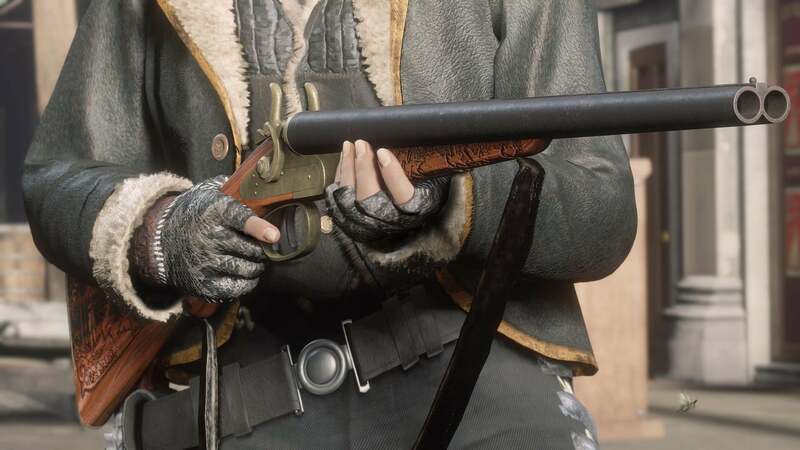 Packenbush’s double-barreled longarm Rare Shotgun will both be available from the Wheeler & Rawson Catalogue, as well as gunsmiths throughout the game. Both weapons will have “an antique style faded brass finish and an artfully adorned stock”. 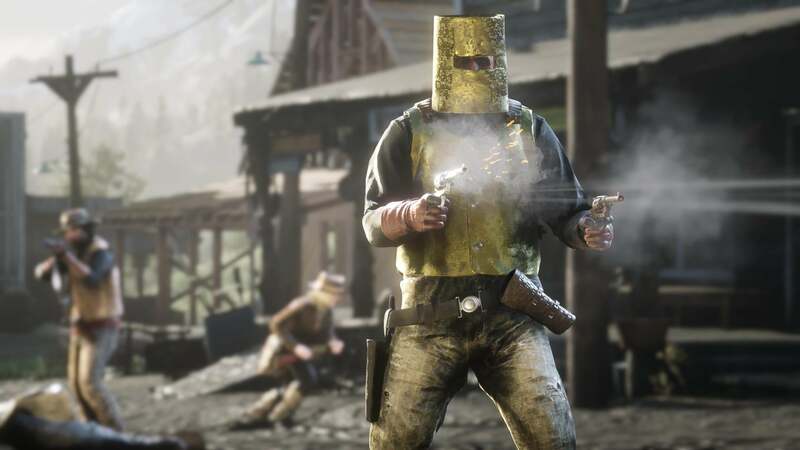 More clothing will arrive in the form of new Outfits, Jackets, Boots, Coats, Gloves, Hats, and Vests, such as the Diamondback Hat and the Rutledge Vest. There will also be unique special items that will be added to the inventory in some shops and the Catalogue for a limited amount of time. Meanwhile, new Emotes will include reactions and taunts. There’s also a whole host of improvements and balances arriving with the patch. To get the full details on improvements to player visibility on the map, bounty hunters, daily challenges and more, check out our previous coverage. Finally, before the update arrives, players who take part in the Red Dead Online Beta this week will get a 20% XP bonus on all activities. The team also promises “new bonuses, giveaways, promotions and content updates” on a weekly basis. The update will be released on February 26th.